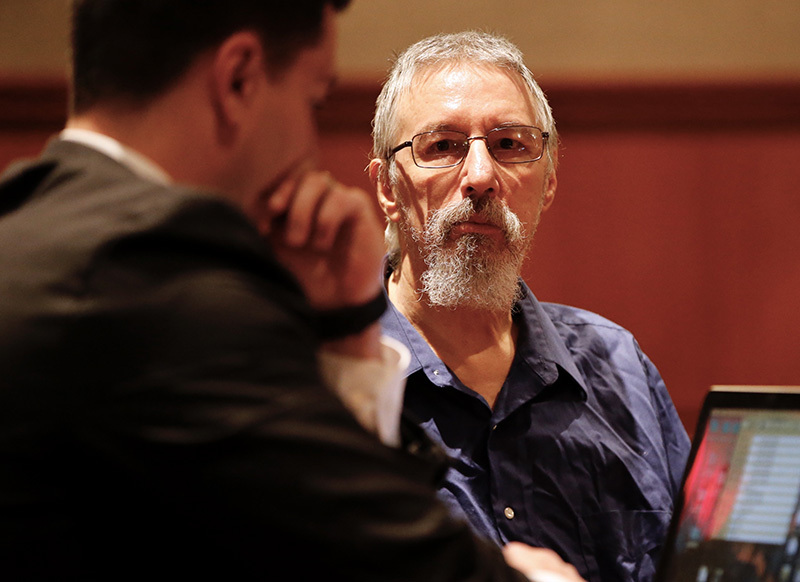 Burton Hagar, 62, is charged in connection with the death of 4-month-old Nathan Hagar in May 1979, a death that was originally attributed to sudden infant death syndrome. 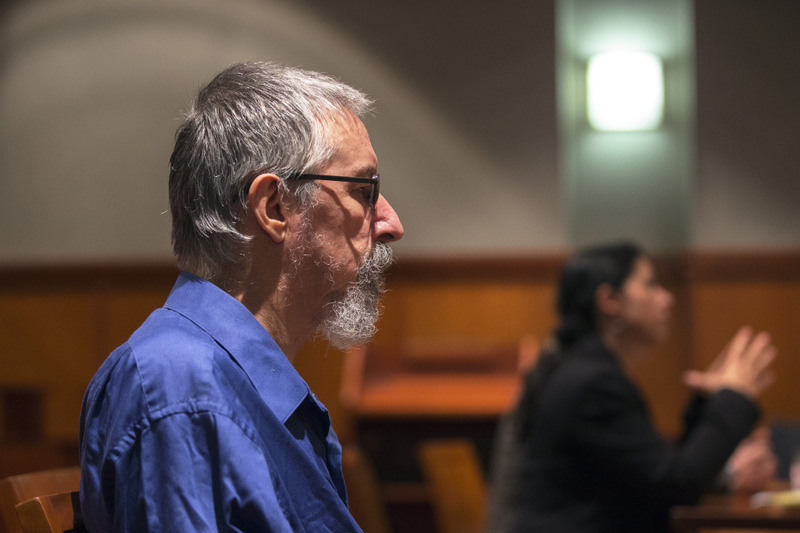 A Superior Court judge took the unusual step Friday of granting bail to a Farmington man charged with murdering his infant son 38 years ago. In setting bail at $10,000 cash or $100,000 surety, Justice Thomas Warren said he didn’t think Burton Hagar, 62, was a flight risk and didn’t believe he was a risk to commit additional crimes. Hagar’s attorney, Verne Paradie, said he wasn’t sure whether his client would be able to post bail but was pleased with the judge’s decision. Hagar was arrested in April after a grand jury indicted him on a murder charge. He is suspected of killing his 4-month-old son, Nathan Hagar, in May 1979, a death that was originally attributed to sudden infant death syndrome. For the first time Friday, Assistant Attorney General Lara Nomani laid out the case that led to Hagar’s arrest, the first to result from work done by Maine’s cold-case squad, which was created to investigative unsolved homicides. At the Cumberland County Courthouse in Portland, Nomani told the judge that Hagar, while caring for his son at their Brunswick home, smothered him. “Mr. Hagar went to his bedroom, selected a pillow from his bed, took it to the crib where he said his son lay sleeping, and placed it over his face for a period of minutes,” she said. Hagar never said anything to his wife at the time and the death was ruled accidental. The couple divorced shortly thereafter. Over the years, Hagar allegedly confessed to multiple people, including family members and counselors, that he was responsible for Nathan’s death, Nomani said. It was those confessions that eventually led the state to bring charges. Paradie acknowledged that his client indeed made many statements over the years but said they were inconsistent. Hagar also told people that he tried once before to smother his son but changed his mind and ended up resuscitating him, Paradie said. “He may just be a father feeling guilt about his son’s death,” the attorney said after the court hearing. Hagar, wearing a wrinkled blue shirt and dark pants, did not speak in court and showed little emotion, even as the judge agreed to allow bail. According to his lawyer, Hagar has three other children, ages 19, 18 and 7, and had been living with the mother of the youngest child before his arrest. He does not work and lives on a $735 monthly disability check. The state reopened the investigation into Nathan’s death in 1991, 12 years after it happened. Detectives interviewed Hagar at the time, but he wasn’t charged. Paradie explained that for the crime of murder, a confession alone is not proof. There must be a body of evidence that a crime was committed – the legal term is corpus delicti – to bring a conviction. “I think the state is still going to have a difficult time with that,” Hagar’s attorney said, adding that he plans to file a motion to dismiss the charge. Nomani did not present any further evidence in court Friday but did say that the state would ask some of those people Hagar talked to over the years to testify. She also referenced the original autopsy conducted on Nathan Hagar in 1979 that concluded he died from SIDS. More recently, the state medical examiner’s office has reviewed the autopsy and acknowledged that the cause of death could have been smothering but that the document was not conclusive. Warren, the judge, said most murder suspects are denied bail but said Hagar’s case was unusual in that he has been aware for a long time that police have been investigating him and has never tried to flee. The infant’s mother, Venus Nappi, was in the courtroom Friday for the bail hearing but declined to speak to a reporter. The case is tentatively scheduled for trial in November or December.